India 1928. An English man, working for the British Government, and his wife in labour with thier first child. The child is born and mother suffers profuse bleeding. As she holds this little on in her arms, she smiles at her and as life ebbs away says her last words: “O my love it’s misty…” and with that she passes from this life. 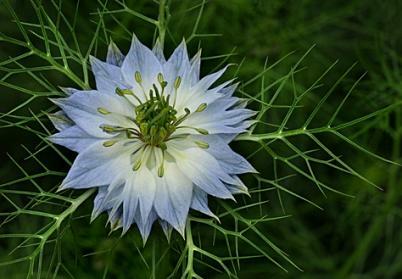 The baby, unaware of all this tragedy, is called NIGELLA – “Love in a Mist”. This beautiful tale was told to me by Nigella’s daugther as Nigella herself slipped away from this world; and it moved me immensely. Here at the end of a life, was a story that brought things full circle. Endings and beginnings. Thankfully we live in a country now where maternal mortality in childbirth is low. The statistics suggest that 8.2 maternal deaths occur per 100,000 live births in the UK (and of course this is 8.2 too many! However, if you have the misfortune to be born in Sierra Leone the figure rockets to 1032.7 deaths per 100,000. This is shocking. This means that Sierra Leone is one of the worst places in the world to have a baby. And that women have a 1:8 chance of dying as a direct result of giving birth. Now I have no idea how this relates to the statistics in the India of 1928; it is not really relevant, except to say that Nigella’s mother’s experience is more likely in some places than in others. Thankfully, some people feel that they have a responsibility to share their knowledge and skills with those less fortunate to improve these statistics. What strikes me as remarkable is that these midwives are making a difference. Off their own backs they raise their own money for the flights, and set off to help make the life of other women better. Amazing altruism. We are so accustomed nowadays to the slick, global marketing of huge charities; and thank God for them. But this initiative warms my heart even more. Small, local groups of people deserve our support. And I am constantly amazed at what the staff at our hospitals do. I wonder if you can do anything? Our own home grown health-oriented intiative in our own Trust making a difference in the world. Inspiring or what? One motherless Nigella, is one too many. There’s a nice little aphorism that goes something like this. Ineffectual manager, inept Trust Board. Inept Trust Board, bungling Chief Exec. Bungling Chief Exec, disastrous Hospital. And it is. If someone is unpleasant to us in a shop, the whole shopping experience is blighted (see https://revdavidsouthall.com/2013/08/20/retail-lessons-from-agros-how-not-to-do-customer-service/). If a member of staff in our hospitals acts as if they don’t care or are disinterested, the whole reputation is tarnished. So when someone approaches the reception desk, and is treated as important and with the respect they deserve, it speaks volumes. Linda Fenton from the County Audiology and Hearing Service passed this letter onto me in praise of her colleague June Scott. I hope it shows that it is whole patient experience that matters. I was referred by my doctor to attend the audiology department for a hearing test on Thursday 25th July 2012. The receptionist on duty that day was Mrs. June Scott, who I later learned to be the admin and clerical officer. I found her most helpful and excellent in her duties, especially under the heavy work load and conditions she was working under on that particular day. I wish to convey my highest respect for this lady and may I through you, pass on my thanks and gratitude for her help and kindness on my visit to the audiology department. She is, in my opinion (along with the other patients in the waiting room, a credit and fine ambassador to the National Health Service at Kidderminster Hospital. I can confidently say that the aphorism above does not apply to our Trust. Look at all the good news stories on the blog as evidence. But, it’s a good lesson to treat everyone as if they were your friends and family, in any walk of life. Strange things happen when spaghetti is involved! If you have never been to church you might not know about the experience called the children’s talk. It is part of the service where someone, usually a teacher, gets up and tries to engage the kids in some aspect of life. At one service I was taking, the teacher got all the children out to the front, and in her bag she had some props. The aim was to say that if you dream about certain things they mean something. So dreaming about sheep means you are wondering about your future, etc. WHAT COULD POSSIBLY GO WRONG? The children all obediently came out and took items from the bag. A cuddly sheep; a pig; a packet of spaghetti and the like. I have to be honest and say that the talk went on a bit. And the kids were standing there fiddling with their items. One young lad had the spaghetti, and after about 10 seconds started waving it around. And then playing sword fighting with it- and hitting the sheep. Having had my own kids sit through children’s talks, given by me, nothing is a surprise. Now I won’t say it was an all-out spaghetti fight, but it was turning that way when the talk mercifully came to an end. What had the kids learnt? That dreams can mean things, AND THAT A PACKET OF SPAGHETTI MAKES A DAMN GOOD WEAPON. All this is by way of introducing some good news. I happened to be sitting next to the parents of the spaghetti boy, and we were highly amused by his antics. And it so happened that the mother has a different story to tell. fighting with the pasta in the children’s talk! I had some disappointing service the other day in a shop – let’s call it Agro’s. I had bought an item that said it would fit my lovely motorbike only to find it was too small. “Could I exchange it for a bigger one?” I asked the Manager. “No,” she explained with a look of derision and contempt, “It’s been opened and used.” When I explained that I had to open the package to see if it fitted, she said: “That was your choice!” When I said I might complain to Head Office, she said, “You can, but they will ask me and I will say it was opened!” It was embarrassing and humiliating, especially with some younger members of the staff smirking in the background. In the end we agreed to disagree, not before I determined never, ever, ever, to shop there again! Interesting, isn’t it, that one bad experience, colours our view of the whole organisation and leaves a bad taste in our mouths. And so it is with our Hospitals. Walking around the Royal I see huge examples of courtesy and kindness. People going out of their way to help others; smiling, and going the extra mile in times of huge need. But doubtless, in an organisation this large, some of us are bound to have felt we have been treated shabbily, or even, God forbid, felt humiliated or belittled. So for those employed by the Hospitals, in whatever capacity,t remember: Careless words harm the reputation of us all. We must challenge it (if we see it) and guard our own words. And for those who have felt a little like me that shop, a bit of lea way is needed. Not everyone is on top form all of the time; and one bad experience shouldn’t devalue all of the good work by hard working professional staff. So, I will take the high ground and I will shop at Agro’s again – probably! Farewell Fish: Rev’d Andrew Fisher moves on…. This is a sad month for me. 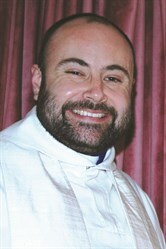 My colleague and friend Rev’d Andrew Fisher will be leaving the Trust at the end of August. Andrew has been the Chaplain at the Alexandra Hospital and they love him there. And no wonder- his devotion to service, kindness and compassion to patients and staff alike, and his bad jokes have won him lost of admirers. Tomorrow is Andrew’s leaving do. There will be his final communion service at 10:30am in the Multi Faith Prayer Room at the Alex (just by the main entrance) and then a leaving party afterwards starting at 11:30pm. Do try and come along to one or both of these, where we will present Andrew with a leaving gift, and no doubt he will have a few words and a bad joke to share with us! There are also two other things you might like to do. 1) If you want to contribute to his leaving present please give your donations to Switchboard at the Alex. Ruth has gone out of her way to scoot round the wards but she may have missed you. They would be delighted to recieve your gift. 2) If you would like to comment publicly about Andrew’s ministry at the hospital then please use the comment box below, so that everyone can see what a valuable job he has done. I know that many of you have already sent him emails but do a dd a comment below.Andrew goes with our good wishes. It’s a personal sadness to me. He has been a fantastic colleague, a good friend, and I shall miss him. The internet is packed full of information and is a great bonus. Information booklets and sheets are fantastic and can explain the patient’s condition clearly and effectively. But neither of these resources are replacements for real people. People who we can sense understand us, are interested in us, know our uniqueness and are able to gear the information around us. That is what this one lady found. Miraculous treatements for cancer. 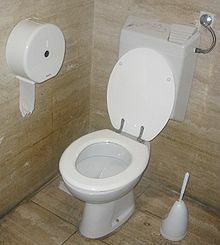 Information sheets on discharge. But nothing replaced, for her at least, the facility to speak to a real human about her situation. The staff and volunteers of the Macmillan Information Pods at Worcester, the Alex and Kidderminster do this work day in day out. I for one am glad that this lady has written in to highlight such an important service. 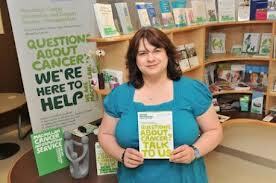 I am writing to say what an incredibly helpful service is provided by Macmillan Cancer Support at Kidderminster Hospital Treatment Centre. In April 2012 I had a hemicolectomy operation to remove cancerous cells and a more recent operation for skin cancer. On leaving the hospital, on both occasions, I was given only sketchy information and as I am not very skilled at accessing the internet for information, I called into you shop to talk to the ladies there. I can’t begin to express how much I appreciated the time the ladies gave in talking to me. Their kindness and sensitivity is a quality that put me at ease. I was amazed how knowledgeable they were. I received books on understanding my cancers and welfare benefits which took away the bewilderment I felt. Michael Amies is involved in the Organ Donar Transplant Initiative in Worcestershire and has sent me this touching email. Organ donation is a sensitive subject, so thank God for people like Emma who enable relatives in the most traumatic of circumstances to make informed decisions about their loved ones who have died. And what a privilege to be invited to share in one of the saddest moments of a persons life! “A “good news” story for you – our Specialist Nurse for Organ Donation (SNOD) Emma Lawson was last week asked to do a reading by the mother of a young donor at his funeral. When you consider the circumstances under which Emma and this lady met, this is surely a real accolade for the way in which Emma does her job and is viewed by the family of the patient. Nationally, when the SNOD becomes involved in discussions with loved ones about organ donation, the consent rate is increased significantly. They do a most valuable job under circumstances that are always very taxing. 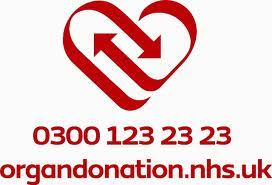 Michael has asked me to draw attention to http://www.organdonation.nhs.uk which I am happy to do.